Moto G5 Plus will arrive in india on March 15th. Motorola launched yesterday two Moto devices at MWC 2017 in Barcelona. The Moto G5 sports a 5 inch full HD display and powered by Snapdragon 430 processor coupled with 2GB/3GB RAM and 32GB internal storage. The smartphone comes with 13Mp rear camera with f/2.0 aperture. The Higher edition Moto G5 Plus comes with 5.2 inch full HD display and powered by power efficient Snapdragon 625 processor and packed at rear 12Mp dual pixel camera with 4K video recording support. 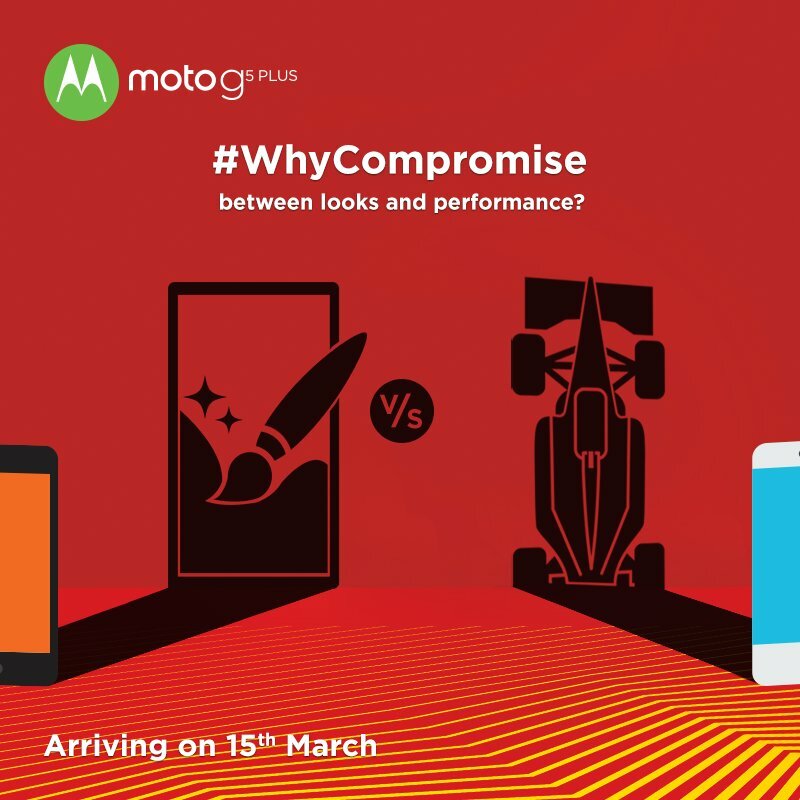 India is one of the first Countries to feel the Moto experience with a launch date for the Moto G5 Plus on March 15 . Moto India, Motorola official Twitter account in the Asian country twitter that you don’t have to compromise between design and processor , “when you can get both”. The tweet says Moto G5 Plus will arrive in india on March 15th.